As more and more information on our genes has become available in the past 10 years, genetic testing has joined the arsenal of tools routinely used by health professionals. 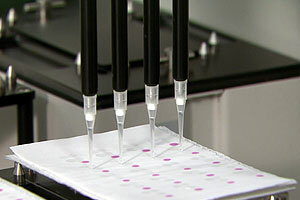 Today a San Francisco company called DNA Direct is bringing genetic testing directly to consumers. Tests to diagnose your risk of developing diseases such as breast and colon cancer can be ordered through their Web site and done in the privacy of your home. In many cases it’s as easy as swabbing the inside of your cheek and mailing it off. Proponents argue that companies offering this new breed of “direct-to-consumer” genetic testing provide people a convenient way to find out about their genetic risk. But critics say that patients who order medical genetic tests online may not be getting as much counseling as they need to understand the implications of their test results. You may also view the entire Forensic Identification segment online. Gabriela Quirós is a Segment Producer for KQED-TV, and is the producer for this segment. (I’m the director of content at DNA Direct and have a blog about genetics and health at DNA Direct Talk. What about the insurance implications–recent articles have highlighted the fact that when a claim is made insurance companies comb through all “confidential” medical record to find evidence of a pre-existing condition or some other “misrepresentation” to disallow coverage. While a genetic test is currently one data point on many types of illnesses, they are literally time bombs of information that insurance companies can use against you.